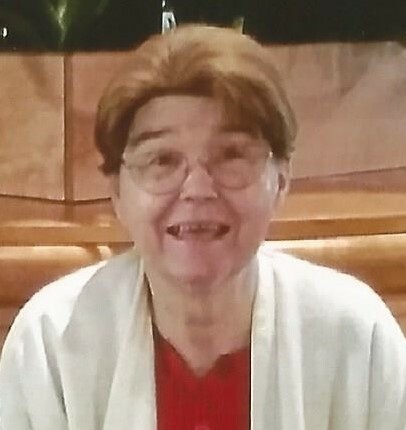 Geneva Irene Montgomery, 78, of Lawrenceburg, IN, passed away at 9:07 AM, Monday, October 1st, 2018 at Shady Nook Care Center. Geneva was born in Lawrenceburg, IN on April 30, 1940, a daughter of the late Naomi Irene (Cameron) Lahr and Elliot Jackson. She grew up in the Lawrenceburg community and was a graduate of Lawrenceburg High School, Class of 1958. Geneva worked as a waitress at Frisch's in Dayton, OH for 15 years. She later went to work for the Children's Medical Center as a dietitian. Working with the babies and young children was a job she truly enjoyed. Geneva was a huge sports fan and followed Duke basketball, the Cincinnati Reds and New York Yankees. Geneva was very self reliant and a hard worker. She was a loving mom, grandma, sister, aunt and friend to many. Geneva is survived by three sons, Lawrence "Ed" Montgomery, of Springfield, Missouri; Mark Anthony Montgomery, of Dayton, OH and Robert Lee Montgomery, of Rising Sun, IN; by grandchildren, Tony, Amanda, Brea, Kalyn and Kameron; by a sister, Mary Sue Couch, of Richmond, IN; by two brothers, Bob Cameron (Patricia), of Manchester, IN and Richard "Butch" Cameron, of Versailles, IN. She was preceded in death by a grandson Brian and by great granddaughter Malia.